Everybody should be able to shape what the camp looks like. 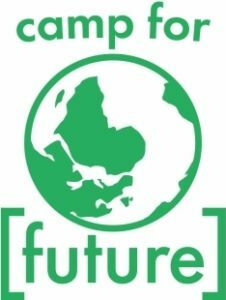 Therefore, in 2018, the programme was a mixture of previously set up workshops and spontaneous events and discussion rounds emerging on the camp. Everyone could participate in this “Open Space” to contribute their questions, topics and knowledge – because we’re all experts! We wanted to create a place to try things out, to empower ourselves, and to learn on our own terms. The camp had three main focuses. These influenced the preparatory process, were mirrored in 2018’s programme and were emphasized by the organizational structures visiting and shaping the camp with us. We put the wishes of the people of the region first. What comes after lignite? What does a just transition look like? The camp was a place to exchange about these questions. For the entire duration of the camp, the “tent of the local resistance” provided a space for this. In addition to the usual camp programme, there were events organized by residents for residents (in German). We shared knowledge and experiences obtained over the last years, spread motivation and visions, furthered political debates and talked about obstacles in the way of self-organization. In practical workshops and spaces for exchange, we taught each other how to build compost toilets, what you need to know for a successful plenary facilitation and how to found a local climate justice group. This focus was specifically addressed through the “Structures for Change!” meeting from August 15-17. We exchanged about the working and functioning of the climate justice movement, organized by the European network Climate Justice Action. 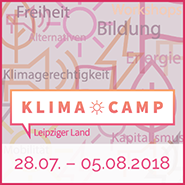 From August 17-19, the camp hosted the “Strategy conference of the german-speaking climate justice movement”. 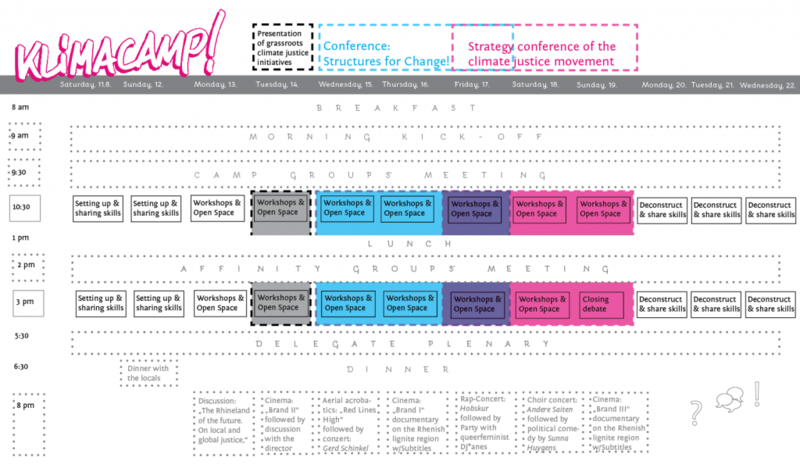 In addition, there were several discussions and workshops, for example on a feminist strategy in the climate justice movement or about the “Movement Action Plan”. All of this was completed by a cultural programme with film screenings, concerts and parties!